Got 6 hours in Lisbon? Here’s the Perfect Itinerary. If you haven’t been to Lisbon, drop what you’re doing right now and book a flight. If you can’t – that’s okay! Read this article and then you’ll have all the knowledge to go and book that flight. You get pretty photos to look at in the process! The Backstory: We were in Europe and travelling to Toronto from Copenhagen. 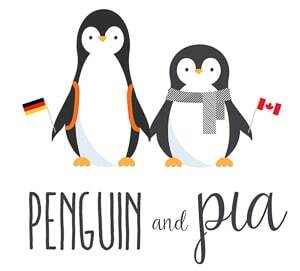 Lisa was visiting Canada for the first time – little did she know she would like it so much she would move there weeks later! We did the TAP Portugal Stopover which is being promoted as we speak. If you’re flying between North America and Europe, TAP makes it easy to stop in Lisbon or Porto for a few hours or a few days. To find out more details, here’s a handy post on all the stopovers available in Europe. 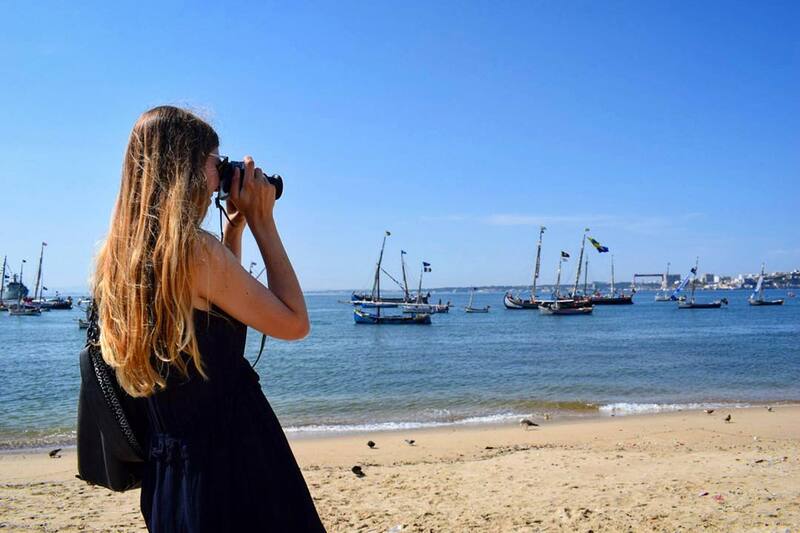 In fact, exploring more of Portugal is on our 2019 Bucket List – and we hope to see it! We landed at Humberto Delgado Airport (LIS), which is located about 7km from the Lisbon city centre. We checked our baggage at the airport. There’s a luggage drop service that cost us around 10 euro. Definitely worth it if you’re travelling with more than one bag. Personally, we didn’t want to lug our larger backpacks around Lisbon. Head out of the Terminal and down into the metro. You’ll find ticket machines on the left. There were a number of assistants with coloured vests to ask questions if you had any. We bought a day pass for 6.15 Euro. The day pass was valid for 24 hours on the metro from first activation. This is very common practice for day trippers planning to use public transportation in the city as you won’t have to worry about small change for the trams (which we’ll cover further down). You can even join the unwritten rule of handing off your valid metro pass to another person (read: tourist) waiting in line. However, if you don’t plan on using public transportation frequently you can always buy a single ticket to go in one direction for 1.45 Euro. 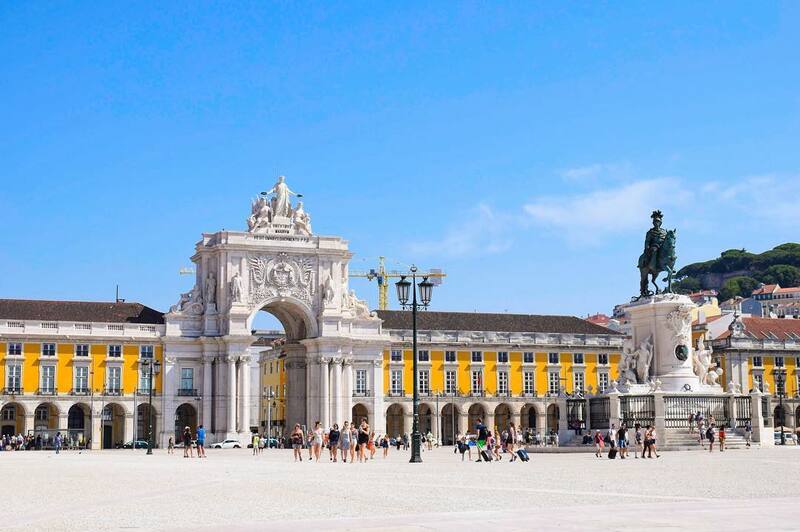 If you’re looking to start with the most famous and historical area – take the metro to Baixa-Chiado. To get here, you’ll have to change metros at Alameda. The walk between the two metro lines is actually quite long – five or so minutes. That said, you pass lots of shops and stalls. One had really good looking pizza and we wanted to stop because the pizza also smelt really good. Sadly, we didn’t stop. To this day, we think about that forgotten pizza. Someone go get a slice and tell us about it, please! Once you get to Biaxa-Chiado, you’ll exit the station into beautiful Lisbon. You’re now in the famous Alfama District. From this metro stop, you’ll be a few streets away from the very picturesque Arco da Rua Augusta. In the Alfama District, you’ll find the historic centre of Lisbon. Many of the churches, cathedrals, and tram tracks criss-cross this entire area. 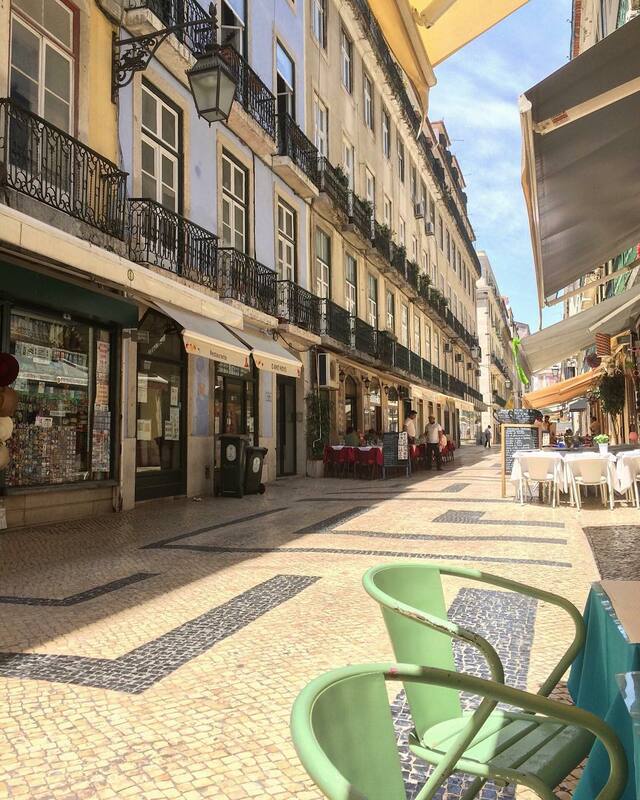 There’s actually a great Lisbon Essential walking tour that leaves from close to Biaxa-Chiado station if you wanted to learn all about this area of the city. We crossed under the Arch and headed for the open square/plaza called the Terreiro Do Paço (or Comércio Square) which leads you towards the water. Snap a photo of the Statue of Dom José, the beautiful monument situated in the centre of the square. For us, the harbour had many sailboats to photograph and you’ll get a good sense of where you are in relation to the other parts of Lisbon with the bridge in full view. We were happy to get a break from the airplane and enjoy the sea air. 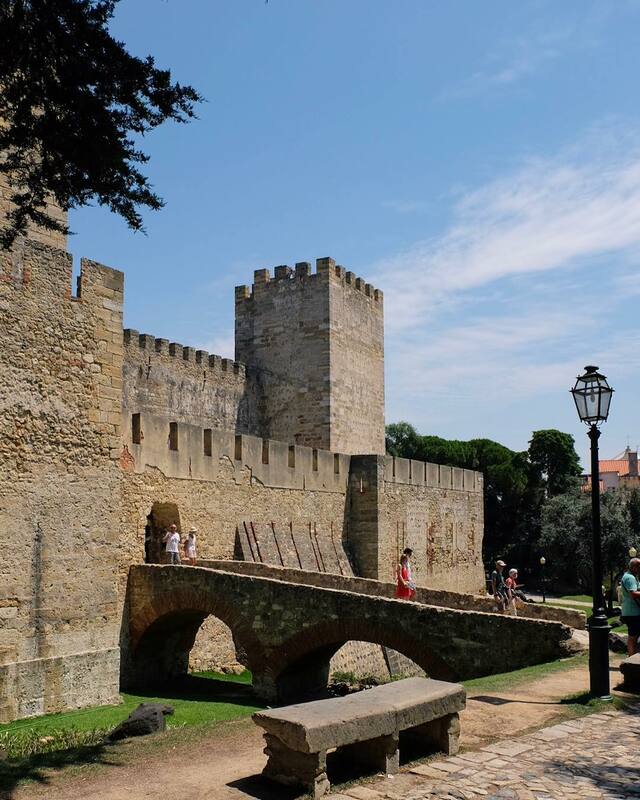 From there, you’ll want to head up to Castelo de São Jorge – the famous castle in Lisbon. To do this, you can use the classic Lisbon tram system and hop aboard #28 heading up the hill. Remember we mentioned buying the day pass? This is where it’s super handy to have. With the day pass, you don’t have to scramble to find small change to buy a ticket from the driver. If you visit when we did, you’ll end up in the busy tourist season. This means every single tram was stuffed full of humans heading up to the castle. We decided to walk. How far could it be? Answer: 20 minutes – but very uphill and in 30 degree Celsius weather. Let’s just say our water bottles were often needed. On the way, we stepped into Lisbon Cathedral. It’s a beautiful 12th century cross-shaped building. To be honest, we stumbled upon it on accident. But, stopping in to check it out was a relief from the heat and a rest from the mountain climb we had found ourselves in. Eventually, we made it to the top following the tram tracks and the signs. Pretty easy! We wanted to explore the castle grounds and quickly found out we needed a ticket. The lineup was absolutely massive but it moved quickly so don’t despair! Pro Traveller Tip: The ticket information sign doesn’t mention a “student discount” but we flashed our student cards and got one anyways. Don’t be afraid to ask. Plus, we used the savings to buy a popsicle later – and it was magical in the Lisbon heat. 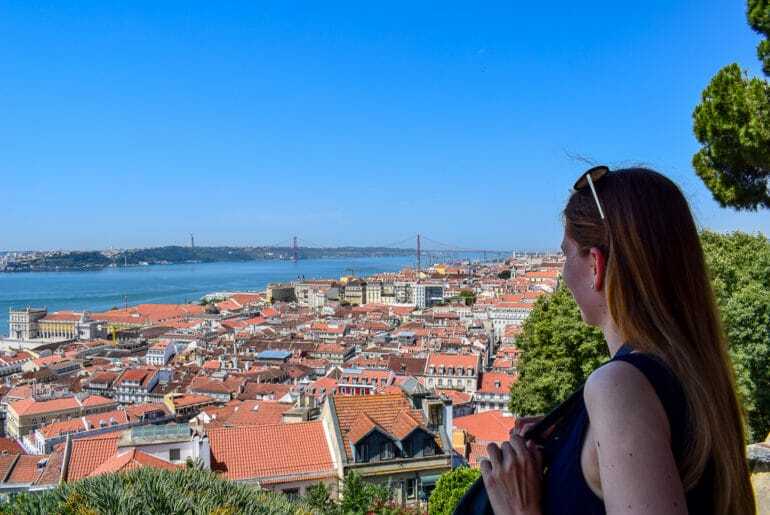 If you want the photo from the cover photo of this blog post, then look for the “viewpoint of the castle” or on Google “Miradouro do Castelo de São Jorge”. Once you enter the castle grounds, walk straight ahead and you’ll see the panoramic view of Lisbon below. We explored the grounds snapping photos along the way. It’s a massive complex with many buildings and ruins. We took our time to enjoy the place and get our money’s worth. Heading back down the hill we decided to ride the tram. The walk up was great exercise for the day – and we needed to get back down with enough time to buy a shot glass (Eric collects them in every city), get a bite to eat, and get on the metro to head back to the airport. We also wanted this process to be at a relaxed pace – which it was! Once we arrived back down near the Arc, we walked through the old centre just taking in the shops and beautiful buildings. We had heard about something cool that we needed to check out: the Santa Justa Lift. It’s a 19th century elevator lift that gives you amazing views of the city. We know this because we’ve seen it on Instagram – not in real life. The line-up was very long, but we want to return to head up for the view real soon! We sat down for a lunch and a beer at the least touristy place we could find in the area. There are loads of places – each with a menu-holding staff member trying to entice you into their restaurant. They aren’t pushy or aggressive – just take your time to menu browse and don’t let the more persistent ones bother you. We were sitting enjoying a drink before heading back to the airport – and casually snapped this photo below. Looking back, this photo is such a classic street view from the area and we’re so glad we have it to a) remember Lisbon, and b) show you, our adventurous reader. We headed back to the metro station, reversed our path between the metro lines, and arrived at the airport with plenty of time before our flight. All we had left to do was gather our bags we had paid to leave in storage, check-in, pass through security, clear customs, and grab a well-deserved seat. We basically just drank water and assessed the sun damage to our skin – despite the sunscreen use. If we had more time, we would have headed under the Ponte 25 de Abril bridge to the south west where you can find the Torre de Belém. It’s a beautiful medieval defense tower and we’re very sad we didn’t have more time to see it. We had an amazing time in Lisbon. While we only had a few hours, it was enough time to enjoy the city and provide us with a sampler to want to return to discover more! Given the chance, we’d fly with TAP Portugal again. The stopover was the perfect way to see another city on our adventure, the service was good, and the plane was on-time – what more can you ask for? 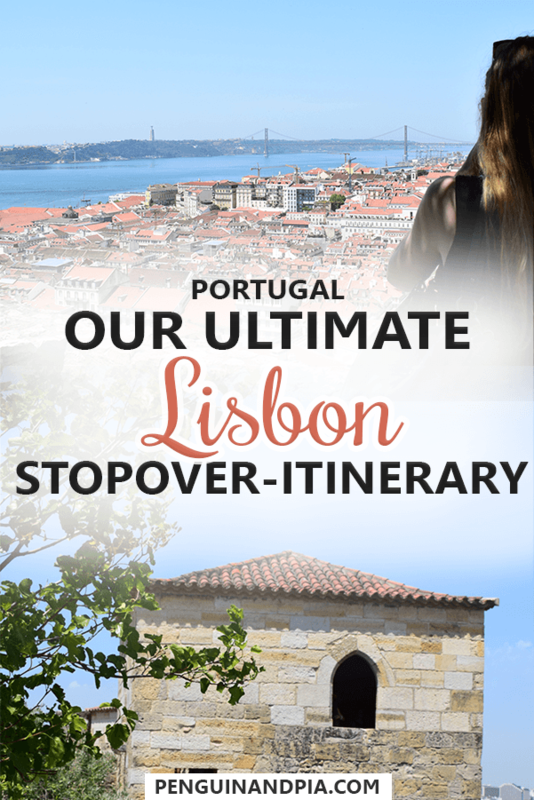 Have you done the stopover with TAP Portugal? Perhaps you visited Porto instead? Let us know about what you did and saw – we’d love to hear it! Friendly Disclaimer: This is not a sponsored post. We just genuinely loved the stopover. Seriously, go see Lisbon on your next flight to Europe!